We operate not only in physical spaces, but also in virtual spaces, seamlessly slipping between the two. We have also become extended operational systems, functioning not only in proximity to local spaces but also remotely between places. Certainly, artistic production is a symptom of being human, but just as the notion of the human changes, the notion of what constitutes art changes as well. What’s interesting about art is the particular, peculiar and individual ideas that artists generate – ideas that are unexpected. Alternative possibilities. Iterations that lead not to better solutions but rather to a multiplicity of new problems. 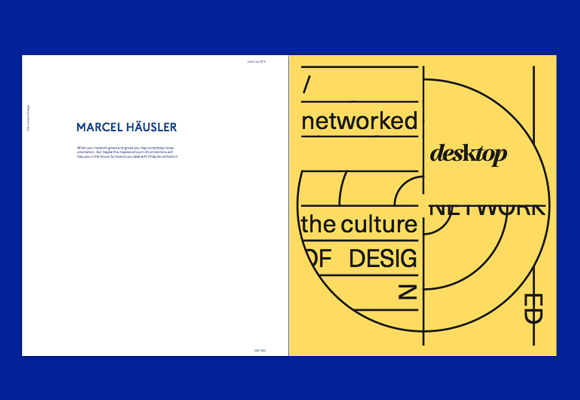 Taking the internet as both canvas and gallery, the /networked issue is about exploring art, design and visual communication that is at once conscious of and responsive to the different networks in which it exists. We lead with Australian artist Stelarc, whose work explores mixed and augmented realities, giving One Thought on the possibilities of creative machines producing aesthetic experiences. 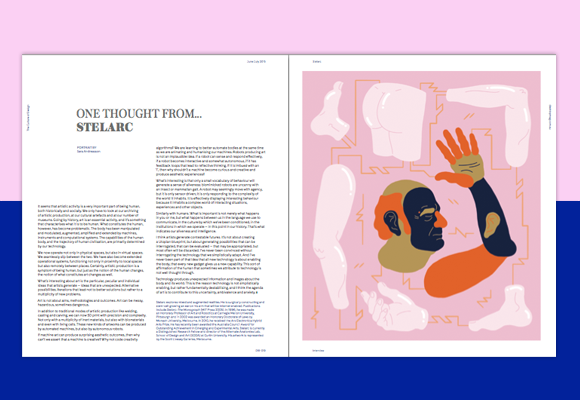 The portrait of Stelarc comes from Swedish illustrator Sara Andreasson. We feature London-based designer Natalia Stuyk, whose work across GIFs and animation recycles old technologies and adapts to new ones. Stuyk talks about cross-discipline collaboration and its potential in terms of process, sharing and supply. We follow Cortney Cassidy — principal organiser of CCOOLL and author of poetry chapbook Internet — around Twitter for a day. 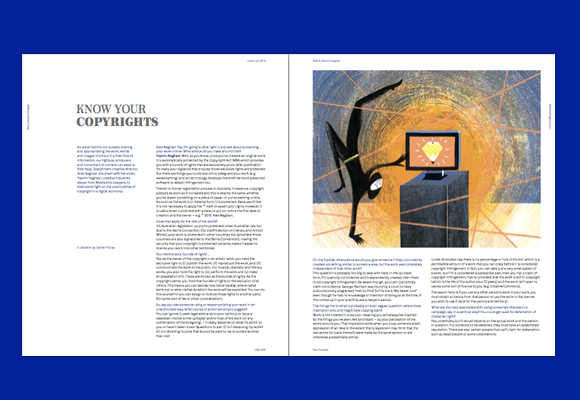 Meanwhile, Josephmark creative director, Alex Naghavi, sits down with her sister, Yasmin Naghavi, creative industries lawyer from Media Arts Lawyers, to shed some light on the practicalities of copyright in a digital economy, with Daniel Gray returning with his en pointe editorial illustrations. 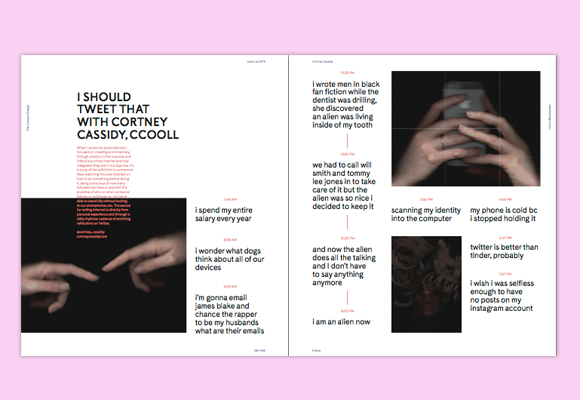 In the spirit of all things internet, it naturally evolved that lots of the projects we were interested in for this issue were self-initiated. Investigating new waves of aesthetic and interactive possibilities, Iceland’s Siggi Eggertsson explores form and beauty in his generator-controlled work, which throws up an infinity of possible visual outcomes. 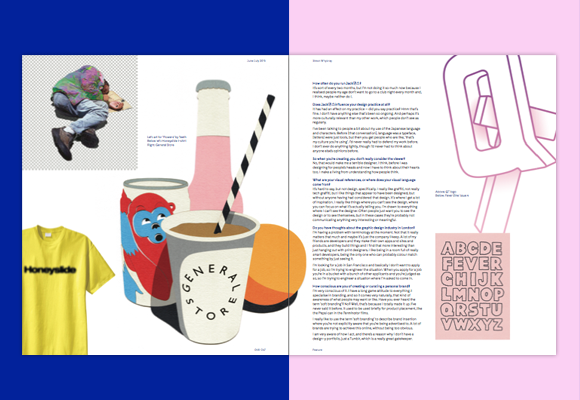 Our glossy insert Image Well returns, with guest curator Aidan Connolly’s selection titled ‘Weird and Disappointing’. At the other end of the spectrum in Opposites React, this issue we paired two studios producing work that still very much values the hand-made. We chat to Stockholm’s Snask and Brooklyn’s Colossal about the manual labour involved in their work, the size and scales they’re pushing and the physical spaces they’re using to display this. 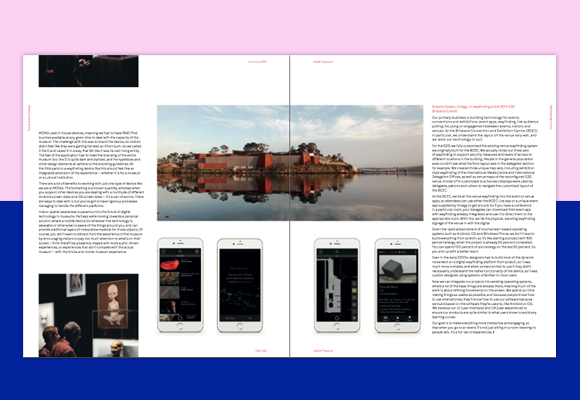 AGDA explores the evolution of iconography and digital wayfinding, and Heath Campbell talks to James Noble from Melbourne-based Carter about the lessons learned from print that the studio has translated to its processes when creating responsive design solutions. 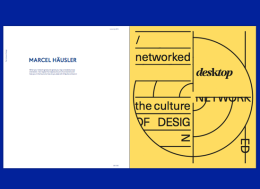 Lastly, our cover for the issue comes from Hamburg’s Marcel Hausler, who’s stacked multiple cover iterations on top of each other like browsing windows, with each iteration printed full size inside the mag. The /networked issue assembles the work of designers, painters, GIF gods and technologists to examine where we are now, and where we could possibly go. 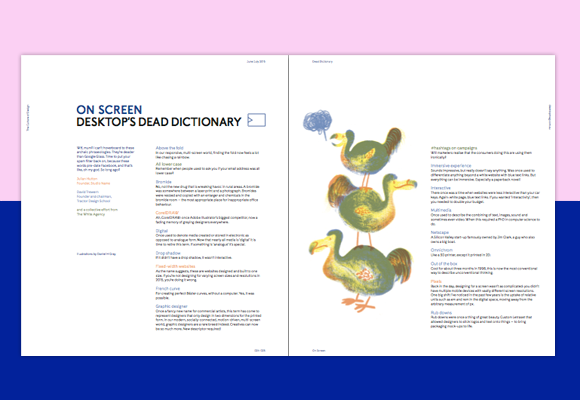 Desktop is available by subscription only. To enjoy the new issue, click here to subscribe.